Microsoft's HoloLens has many applications in the business world, both large and small, but what about gaming? Initial demos gave the impression that we could expect amazing first person shooters, platformers, and even Minecraft. Yet, as Newsweek noticed, the HoloLens was nowhere to be found at E3 this year. 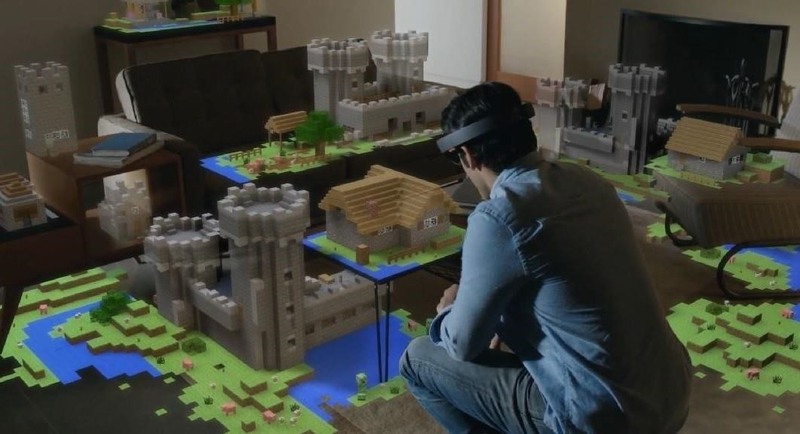 Throughout last year, Microsoft displayed its HoloLens augmented reality (AR) headset by playing video games on it, from Minecraft to a shooting game called RoboRaid. But at the E3 game convention last week, HoloLens was nowhere to be found. Multiple AR developers tell Newsweek the reason why HoloLens vanished is that Microsoft has shifted its attention from developing a consumer-focused product to a more enterprise-friendly product. According to Newsweek, Microsoft has decided the HoloLens isn't quite ready for consumers. From what we've seen, it certainly isn't due to complexity. The headset is easy to understand and, personally, I've taught about 25 people how to use it and play a game in just a few minutes. Due to the familiarity of Windows and a learning curve of only two gestures, most people can figure out how to use the basic features of the HoloLens faster than a smartphone. So why shift away from the consumer and gaming markets? Microsoft makes most of its money in the enterprise, and the HoloLens currently costs $3,000 for a developer kit. To get more consumers on board, Microsoft will likely have to sell the device for at least half that cost and even less if it hopes to compete with other tethered VR headsets. If that's not feasible at the moment, it makes sense for them to pivot to the enterprise where $3,000 is a drop in the bucket and the device can even be used to save money, like in the case of medical schooling and construction. That said, Microsoft has taken an open approach to HoloLens development and takes feedback from developers. While they may have shifted their focus off of gaming, that doesn't mean everyone else will when the headset is available to the general public.